The 2010 Canada India Foundation Award and Gala Dinner was held at the Westin Bayshore in Vancouver on May 15, 2010. The Annual Award and Gala Dinner hosted high profile government, business and community leaders from Canada and India who joined in honouring the winner of the 2010 CIF Chanchlani Global Indian Award. The event was an opportunity for all attendees to connect with one another and to develop new relationships. In addition, the event also provided opportunities for participants to learn more about Canada India Foundation and find creative ways of engaging with Canada and India. Mr. Ratan N Tata was the 2010 recipient of Canada India Foundation’s Chanchalani Global Indian Award. 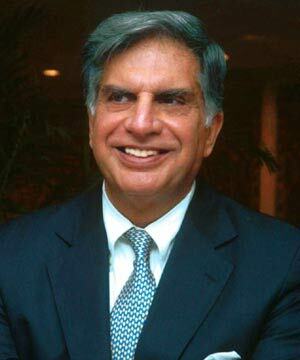 Mr. Tata has been the Chairman of Tata Sons, the promoter company of the Tata group, since 1991. He is also Chairman of major Tata companies, including Tata Motors, Tata Steel, Tata Consultancy Services, Tata Power, Tata Tea, Tata Chemicals, Indian Hotels and Tata Teleservices. During his tenure, the group’s revenues have grown nearly 13-fold. Mr Tata also serves on the board of directors of Fiat SpA and Alcoa. He is also on the international advisory boards of Mitsubishi Corporation, the American International Group, JP Morgan Chase and Rolls Royce. Mr Tata is associated with various organisations in India and overseas. He is the Chairman of two of the largest private-sector-promoted philanthropic trusts in India. He is a member of the Prime Minister’s Council on Trade and Industry, the National Hydrogen Energy Board, and the National Manufacturing Competitiveness Council. He is the president of the Court of the Indian Institute of Science and Chairman of the Council of management of the Tata Institute of Fundamental Research. He also serves on the UK Prime Minister’s Business Council for Britain and the International Advisory Council of Singapore’s Economic Development Board. He is also a member of the Global Business Council on HIV / Aids and the Programme Board of the Bill and Melinda Gates Foundation’s India Aids initiative. Mr Tata joined the Tata group in 1962. After serving in various companies, he was appointed director-in-charge of The National Radio and Electronics Company in 1971. In 1981 he was named Chairman of Tata Industries, the group’s other promoter company, where he was responsible for transforming it into a group strategy think-tank, and a promoter of new ventures in high technology businesses. Mr Tata received a BS degree in architecture from Cornell in 1962. He worked briefly with Jones and Emmons in Los Angeles before returning to India in late 1962. He completed the Advanced Management Program at Harvard Business School in 1975. The Government of India honoured Mr Tata with its second-highest civilian award, the Padma Vibhushan, in 2008. He has also received honorary doctorates from Ohio State University, the Asian Institute of Technology, the University of Warwick and the Indian Institutes of Technology of Kharagpur and Madras, and an honorary fellowship from the London School of Economics.